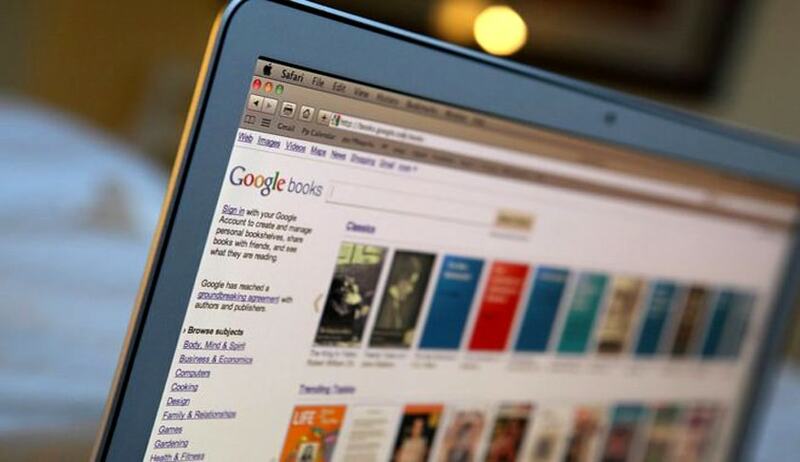 American organization for writers, Authors Guild has petitioned the US Supreme Court, seeking review of the Court of Appeals ruling which had upheld the Google book scanning project as legal. In October last year, US Appeals Courts had affirmed the judgment by the Court below, and held that Google’s unauthorized digitizing of copyright-protected works, creation of a search functionality, and display of snippets from those works are non-infringing fair uses. You may read more about the ruling here. Challenging this order, the petition states that rather than buying or licensing the books, Google “backed up moving vans to the libraries, took essentially all the books off the shelves, and scanned them.” It ultimately copied more than twenty million books, out of which at least four million were still protected by copyright, but Google never got permission for their production. It alleges that in exchange for getting unlicensed, unpaid access to library’s books, Google provided the library with unlicensed digital copies of the books it had copied. The Petition reasons that the case represents an “unprecedented judicial expansion” of the fair-use doctrine that “threatens copyright protection in the digital age”. It challenges the decision on two points, firstly that it conflicts with the Supreme Court’s decision and secondly that it goes against the Copyright Act itself. With regard to the doctrine, it says that the decision fundamentally remakes the fair-use doctrine by eliminating any focus of whether the use involves the creation of “new expression, meaning, or message.” This was held in the case of Campbell v. Acuff-Rose Music, Inc., 510 U.S. 569 (1994). While upholding Google’s project, the lower Courts had observed that a work need not be altered at all, so long as the copies of it are used for a different and valuable purpose that can be labeled “transformative”. “This revision of the doctrine goes far beyond anything contemplated by this Court’s precedent, and conflicts directly with decisions of the Third, Sixth, and Eleventh Circuits,” the Petition contends. The Petition relies on another precedent in the case of Kienetz v. Sconnie Nation LLC, 766 F.3d 756, 758 (7th Cir. 2014), to lay emphasis on its second contention. In Kienetz’s case, the Court had substituted a single “transformative use” test for an application of four statutory factors. “The result of the Second Circuit’s shift to a one-factor test is a decision that blesses a commercial company’s decision to engage in copyright infringement on a massive scale to enhance its own probability, despite the Court’s recognition that Google’s infringement itself will cause some amount of market harm. The decision also disregards the inevitable additional harm that will come from widespread imitation of Google’s conduct, especially by those lacking Google’s data security. Such an outcome defies both the words and will of Congress,” the Petition states. The result of this approach, it contends, would be that “the more massive the infringement, the more likely it is to be upheld as “fair”.” The Petitioners hence demand that the Court should resolve the conflict over whether use of a copyrighted work that adds no new creative content can nevertheless be “transformative” for fair use purposes. This is demanded because of a difference of interpretation of the term “transformative use” by different Circuits.